Come and get creative here at Fosseway, and decorate your very own birdbox for your feathery friends to enjoy! Take it home as put it in your garden! Thursday 21st Feb – We are currently awaiting a delivery of another 40 bird boxes, however until then this event is on hold. Our apologies for any inconvenience caused. 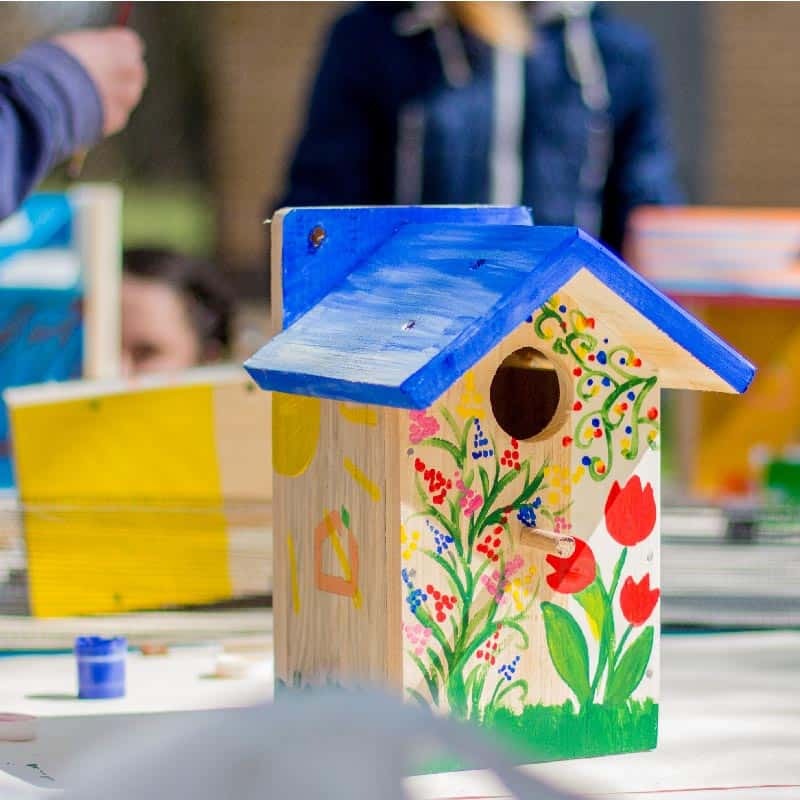 It roughly takes 10 – 15 minutes to paint your birdbox! Whilst your waiting for it to dry, enjoy a hot chocolate and slice of cake in Timothys restaurant. £5 includes a bird box and all materials required! NOTE: During all creative activities we suggest children wear old clothing. We do provide a basic plastic apron but we take no responsibility for any stains that might cause any damage to clothing. Book online to guarantee your place, or turn up on the day – Walk in Session.